I made a simple bechmark app for Android today using Android Studio. 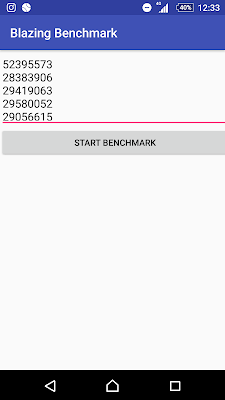 It's an app that measures the speed of simple calculation loops in nano seconds. So, that means the lower the number, the faster your Android device is. I might upload the source code. Some notes on Ethereum etc.